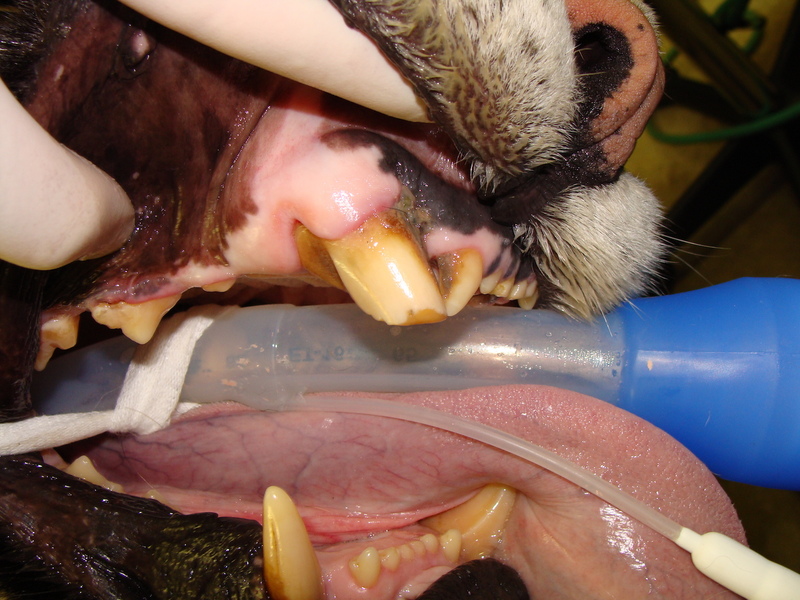 At Black Pine, Luna's fractured teeth will be treated. 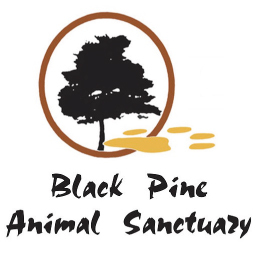 Black Pine’s residents are the products of the exotic wildlife trade. Some are surrendered former “pets”. Some have been abandoned and recovered. Others have been confiscated. Our fourth mission to Black Pine – another one-day mission – required only one doctor and one technician. 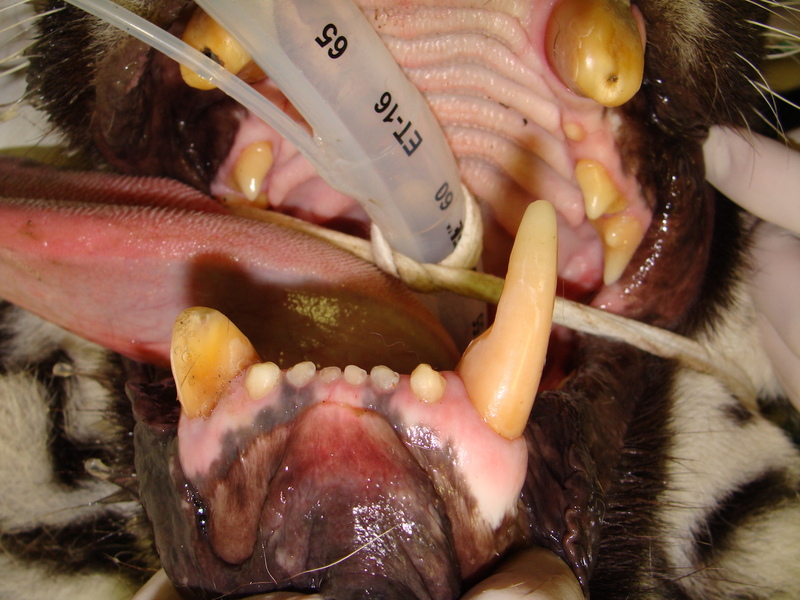 A local veterinary dentist – Dr. Janet Houghton – joined the pair in treating a bear, a serval and two tigers. 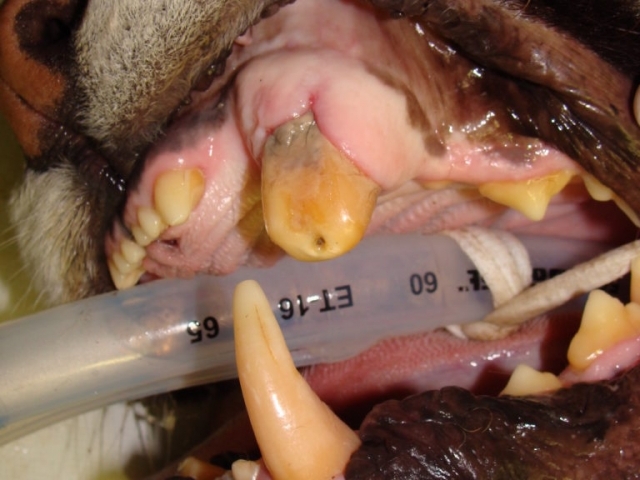 The team performed (5) root canal therapies, one extractions, and 3 surgical extractions. 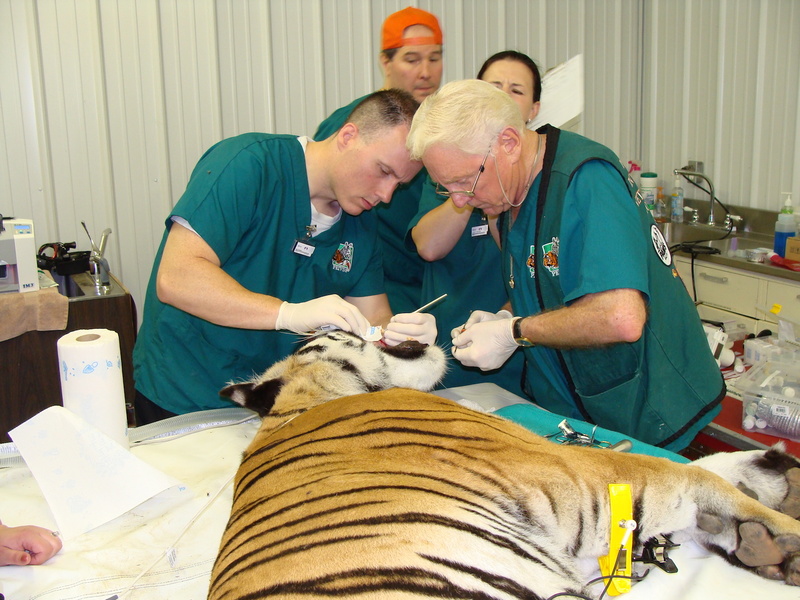 On our third mission to Black Pine, we sent a small team of five doctors and technicians to treat three sanctuary resident tigers on this one-day mission. 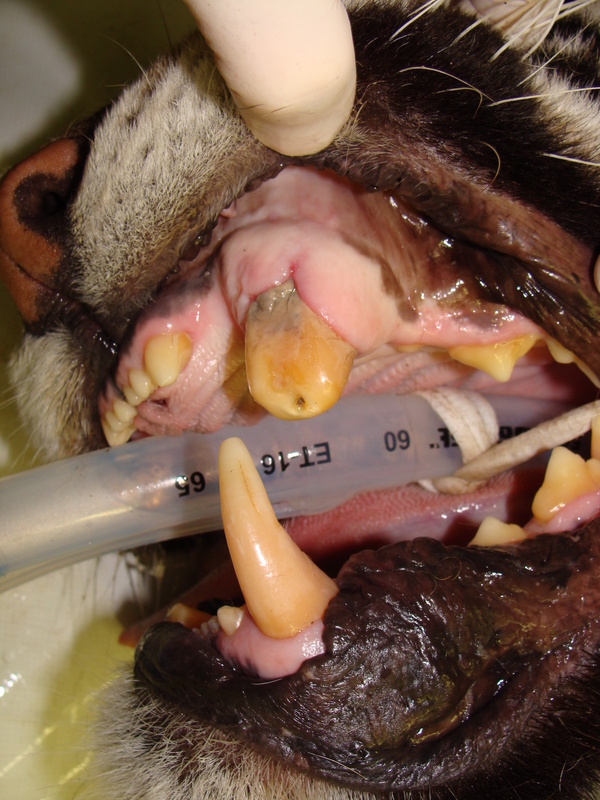 Only one tiger required (4) root canal therapies, and the others only needed exams. For our second mission to Black Pine, PEIVDF sent a team of fifteen doctors and technicians – including (3) PEIVDF student doctors and one observer. We were even busier this trip, with (15) patients receiving treatment – a bear, (3) bobcats, a cougar, (2) leopards, a primate, a savannah cat, (2) servals, and (4) tigers. 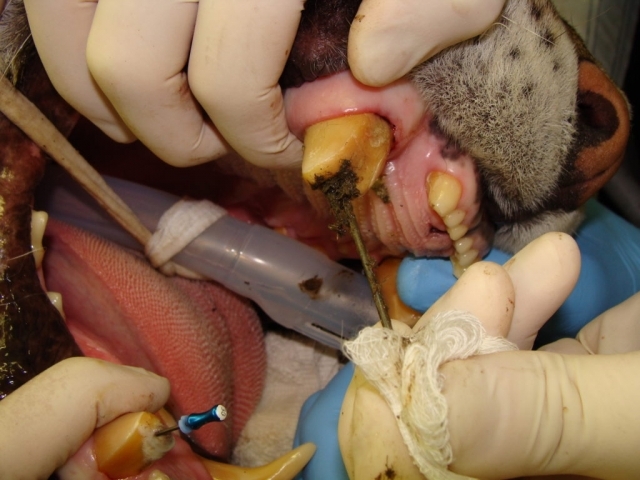 The patients received (11) root canal therapies, (7) extractions, (2) other oral surgeries, and (6) needed only exams. For our first mission to Black Pine Animal Sanctuary, located in Albion IN, PEIVDF sent a team of seven doctors and technicians to work on six sanctuary residents: (3) lions and (3) tigers. It was a busy weekend with (9) root canal therapies, (3) extractions, and (6) other oral surgeries.